This page commemorates the centenary of Armistice Day (11th November 1918). It contains information about East Keswick around the time of the First World War and information about the men associated with the Village who died in the War. It also contains some suggestions about how you can research people who were involved in the War. In due course we plan to include information about those men and women who fought or were otherwise involved in the War and who fortunately survived it. Left click on the sub page you wish to go to eg "Men who died in the war" or "Researching people in the War"
The 11th of November marks the centenary of Armistice Day - the day in 1918 when the guns of the First World War were silent at long last. 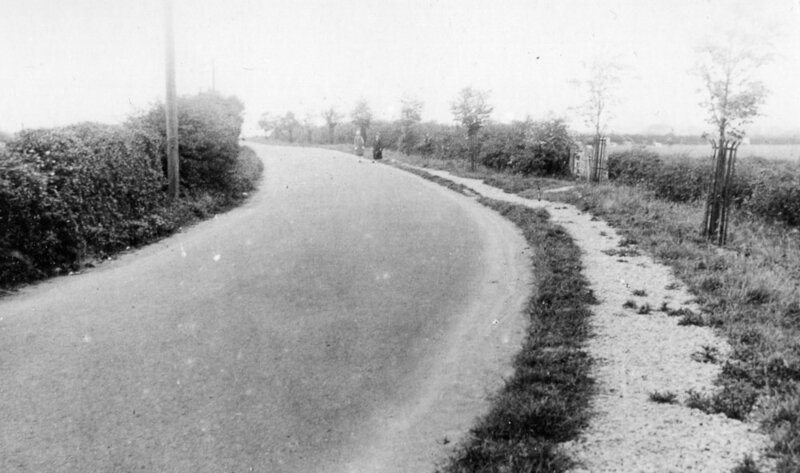 East Keswick in 1918 was very different to the village we know today. It was a rural agricultural village, with a population of around 400. The war inevitably had an impact on the village, not least in the many men who went off to fight, most of them to the Western Front in France. For many of these men, it would have been the first time they had left Yorkshire, let alone England. The absence of men from the village meant that the women and children had to take up tasks previously undertaken by the men. This led to increased absences from the village school, as children helped out in the fields at harvest time. By 11th November 1918, 15 men associated with the village had died whilst serving in the army. Three more died in the following year, from wounds or illnesses contracted whilst fighting. The overall number of men and women from the UK who died as a result of the War was around 1 million. After the War, in common with communities throughout the UK, thought was given on how best to commemorate those who had died. In East Keswick it was decided that one or more war memorials should be created, and a village War Memorial Committee was established. 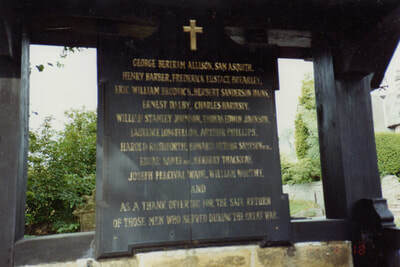 The outcome was that the village eventually had three different memorials - the formal stone war memorial at the top of Main Street, the avenue of lime trees planted in 1920 along Crabtree Lane, each tree commemorating one of the men who had died in the War, and finally the lytch gate at St Mary Magdalene Church. A Roll of Honour in St Mary Magdalene Church commemorates all those who contributed to the war effort and who survived the War.